As a small business owner, it is important to prioritize which area of your business requires more of your direct attention. Many times, this means you need to switch between being a marketing manager, salesperson, customer support representative, bookkeeper, and more. Business owners have limited time, and understanding the many laws and regulations surrounding business finances takes more time that business owners can devote. This lack of time and understanding can create difficulties later. To help you avoid these difficulties and improve the organization of your business finances, an accountant can help you in multiple ways. Having an effective bookkeeping system is the lifeblood of any business. Without one, vendor payments can be missed, expenses unaccounted for, and other disasters which can easily topple a small business. Bookkeeping software – Our accountant can advise you on which bookkeeping software would best suit your business and help you set up your account. However, this solution still requires a significant amount of oversight from you, to track to ensure things are recorded correctly and to upload various expense reports. Outsourced to accountant – Many business owners choose to outsource their bookkeeping to our accountant to ensure an experienced eye is watching their accounts. You can also choose to hire an in-house bookkeeper, but often, this expense can be hard on a small business, while outsourcing your bookkeeping is significantly more affordable. This payroll list will become more complicated as your business grows. Our accountant can be an invaluable asset, as he can organize and set up your entire payroll system to work seamlessly behind the scenes and ensure you and your employees are satisfied with your payroll. With the help of an experienced accountant like Adrian D. Anderson, you can see real-time reports of all work-related financial standings. Outsourcing this time-consuming portion of running your own business frees you up to manage more enjoyable aspects of working for yourself. Our accountant can also create customized reports to suit your business’ financial needs. 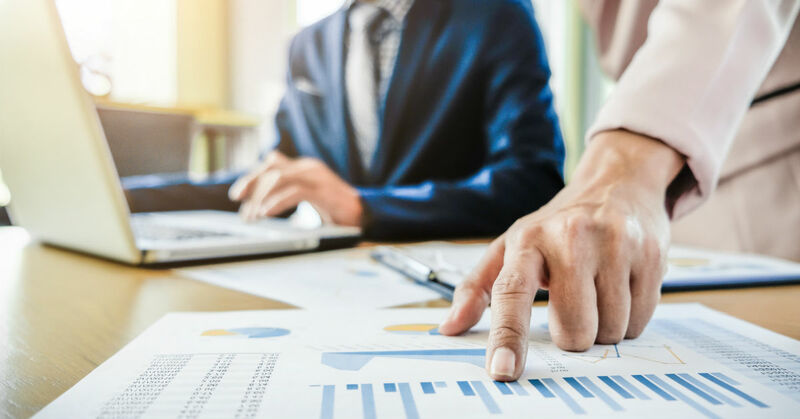 Both the reports listed above and customized reports will greatly aid in your ability to make more beneficial decisions for the growth of your company. Organization is vital when it comes to filing your business taxes. Our accountant often acts as a tax consultant for small businesses. With his help, businesses can have their taxes calculated, have all their eligible deductions applied to their taxes, and have their taxes filed on time by our accountant. Also, AA Tax & Accounting Services stands by its accounting work. If your taxes are audited, Adrian will work with you to resolve any issues and work with the IRS to correct your taxes. If you feel you may need an accountant for your business or personal taxes, contact us to set up an appointment with our accountant and see how he can organize your finances.